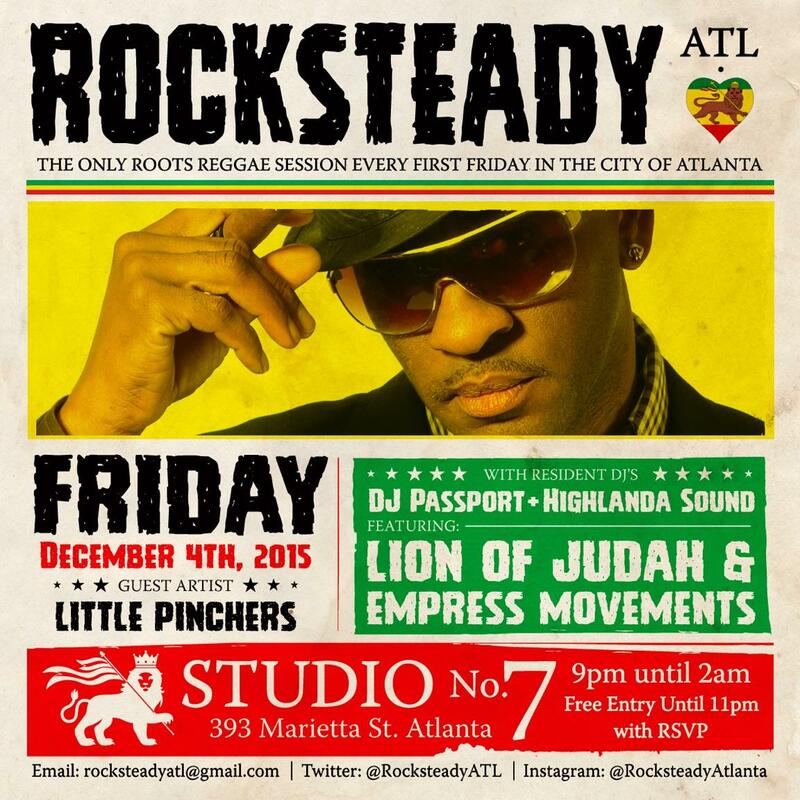 #ROCKSTEADYATL is keeping Atlanta enthusiasts satisfied with Roots Reggae Every First Friday at Studio No. 7 located at 393 Marietta Street, NW, Atlanta. Enjoy a special night of Reggae, Lovers Rock, Dub, and Roots on Friday December 4th with Music by Highlanda Sound and DJ Passport alongside guest sounds Lion of Judah with Ras Irate and Empress Movements. Doors open 9pm-2am. Free Entry Until 11 with RSVP. Email your guest list names to RocksteadyATL@gmail.com by 5pm on Friday December 4 for a confirmed RSVP.